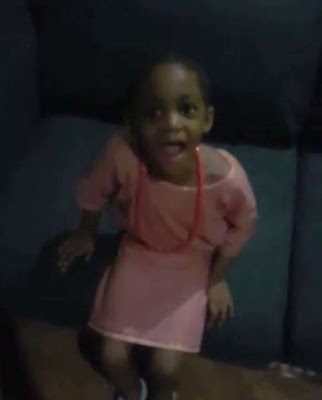 The 'Iyawo mi' star shared a video of his little girl in her traditional outfit getting ready for Independence day celebration in school. In a video captioned, "SOME MOMENTS CANNOT BE EXPLAINED...YOU CAN'T TRADE THEM FOR ANOTHER.. THEY TAKE YOU PLACES YOU HAVE NEVER BEEN BEFORE..#prouddad. @busoladakolo SEE OUR SUPERSTAR," she can be heard singing Sunny Ade's 'Lift up Nigeria'. Timi Dakolo's daughter wants Nigerians to unite with this song.